Due to the shortage in supply of Galaxy S6 Edge from its higher than expected demand, Samsung Display’s worry regarding flexible AMOLED line investment is deepening. Samsung Electronics’ announced target sales for Galaxy S6 and S6 Edge is 70,000,000 units. If the S6 Edge sales occupies approximately 40%, it is estimated that about 28,000,000 units of S6 Edge will be sold. Samsung Display’s A2 and A3 lines can produce flexible AMOLED panel that is currently used for S6 Edge. Considering the yield and operation rate, it is analyzed that approximately 5,000,000 units can be produced from A2 in a quarter, and 7,000,000 units from A3 (A2 line = 15K, A3 line = 15K). However, as only A2 was in operation in 1Q, assuming that about 5,000,000 units were supplied, and that A3 will also be operational from 2Q, it is forecast that approximately 12,000,000 units will be supplied. Therefore, it is estimated that A2 and A3 lines have to be in full operation until 3Q to meet the demand for S6 Edge. However, if flexible AMOLED panel is applied to the new Galaxy Note model in 4Q, the preparation for mass production needs to begin from 3Q. Hence, with the current Samsung Display’s flexible mass production capa., it looks to be difficult to meet the demand for flexible AMOLED panel. Consequently, Samsung’s additional flexible AMOLED line expansion seems unavoidable. To establish additional capa. Samsung Display could consider replacement investment for A2 line, or expanding the A3 line. If A2 line is replacement invested, the investment cost would decrease and move up the mass production schedule. Nevertheless, the fall in the total market share has to be considered following the reduced rigid panel supply from diminished capa. of rigid AMOLED panel. If A3 line is expanded, the investment cost and time required will be higher but considering future supply to other set companies that are not Samsung Electronics, this is analyzed to be more advantageous compared to the replacement investment for A2 line. As a result, the industry’s attention is focused on how Samsung Display will choose between A2 line and A3 line, or if both will be carried out. LG Electronics, Not Selling OLED TV? Or Can’t Sell? OLED TV business that LG Electronics ambitiously prepared for is remaining at a standstill for more than 2 years. Korean media is reporting that the OLED TV sales in Korea reached 3,000 units per month, but this figure is too weak. The money that LG Display have invested in line establishment for OLED panel for TV is already exceeding approx. US$ 1,400,000,000. Annual depreciation cost for equipment investment alone, excluding cost of labor and material, is approx. US$ 280,000,000. Considering the current cost for FHD OLED TV is approx. US$ 1,800 – 3,300, monthly sales of 3,000 units in Korea only result in approx. US$ 9,400,000. With approx. 10,000 units per month being sold in the world, monthly revenue is merely US$ 23,000,000. Although LG Display is aiming for 600,000 units of OLED panel for TV shipment this year, with LG Electronics’ first quarter world OLED TV sales of approx. 30,000 units, there is concern that only 100,000 – 200,000 units will be sold in 2015. It is difficult to understand whether this uncommonly low sales of LG Electronics’ OLED TV is because they are not selling them or unable to sell them. It seems plain that the initial price of OLED TV in 2013, approx. US$ 14,000, was set in order to not sell. LED TV at the time was being sold at approx. US$ 2,800, and the 5 times more expensive price was too high to be considered a normal premium price. Consequently, the 2013 OLED TV market stopped at around 10,000 units, and in 2014 remained around 100,000 units. At this point, feasible production rate for LG Display’s 55 inch FHD OLED panel needs to be compared. In 2013, LG Display’s M1 line yield rate was approx. 40% with annual possible production of 50,000 – 100,000 units. As the yield rate increased to 80% in 2014, it is estimated that 200,000 units or more would have been produced. Compared to LG Display’s investment cost and production potential, the LG Electronics’ OLED TV sales results are too shabby. Of course, as the current main product on the market is FHD, when the newly released UHD OLED TV market actively opens the figures could always change. However, with 55 inch UHD OLED TV having to compete with Samsung Electronics’ SUHD TV, the market is not so easy. SUHD TV costs approx. US$ 3,700, and UHD OLED TV costs about 25% more with US$ 5,100. Compared to the initial price of FHD OLED TV, approx. US$ 14,000, 2 years ago the UHD OLED TV price is low enough to be quite reasonable. However, with the performance of past 2 years it appears that LG Display might be inadequate to widely open the OLED TV market. It makes one wonder how Samsung Electronics became the world leading company with their OLED panel equipped Galaxy series achieving 20% mobile market share, a market that used to be dominated by LCD panel. http://jpn.olednet.com/wp-content/uploads/2015/04/LG-OLED-TV4.png 574 1853 OLEDNET http://jpn.olednet.com/wp-content/uploads/2015/09/logo_oled.png OLEDNET2015-04-29 17:14:222015-04-29 17:14:22LG Electronics, Not Selling OLED TV? Or Can’t Sell? On April 22, LG Display reported their first quarter of 2015 performance announcing their success in OLED TV market entrance with balanced results in mass production yield rate, timing, and management. They also revealed their panel production targets of 600,000 units this year, and 1,500,000 units in 2016. LG Display’s CFO Sang-don Kim announced that “OLED TV was about technology innovation until last year, this year it will be innovation in consumers and yield rate, and by next year it will be decided whether it has popularization potential”. He added LG Display will “focus on increasing the business values rather than immediate profit and methodically proceed with OLED focused strategy for structural differentiation in large size display”. He also revealed LG Display will decide on additional investment after observing OLED TV market’s growth potential. Regarding China’s BOE Gen10.5 investment, a recent issue, he forecast “much time is needed to begin set up and if Chinese companies run into problems while working on enlarging the display it is estimated that they will return to 30inch. Therefore LG Display’s large area panel sales will not be much affected”. He explained in regards to LG Display’s Gen10.5 large area LCD investment that it will be decided after careful examination considering the cost and market maturity. LG Display also revealed a decrease in sales in small to mid-size display, such as tablet, due to seasonal factors. However for large size display, they announced as a result of improved performance, the total business profit recorded approx. 687 million USD, an 11% increase compared to the previous quarter (approx. 578 million USD), and showed surplus in business profit for the 12 consecutive quarters. Large size OLED TV production is one of the hot issues within the display market. Although OLED has long been a focus for the next generation display, the market share of OLED display is still low. According to UBI Research, a market research company, despite the continued increase in OLED panel production volume and application scope, the point when it moves toward consumer market from producer market will be another leap for the display industry. UBI Research’s White OLED Display Annual Report (published April 15, 2015) notes that mass production actualization of large size display using RGB structured OLED panel has not been possible due to the dead space from drooped effect. Therefore, UBI Research analyzed that the additional processes and investment cost in order to improve this increases the production cost resulting in decreased competitiveness. Solution process applied technology is being developed in close pursuit of WRGB OLED, but UBI Research surmises that it will take 3~4 years for the active mass production competing with efficiency and merits of WRGB structure. UBI Research forecast WRGB OLED’s unrivaled path will continue for another 5 years or so with approx. 150 million units of WRGB OLED display production out of over 1,000 million OLED display units in 2020. Large size white OLED display panel for TV market is expected to record approx. 1.6 million units in 2016 and grow to produce US$ 13,759M in revenue in 2020 (figures 1, 2). If the selection of WRGB OLED can solve the RGB structure’s limit in large area panel mass production, possible active OLED TV production is anticipated. With the publication of UBI Research’s report the timing of this is expected to be a point of much discussion. Additionally, further analysis is needed on whether WRGB OLED is really the only technology for large size display, and if so for how long WRGB OLED’s peerless growth can last. 2015 is forecast to be the year flexible (plastic) OLED actively enters the market. Galaxy S6, which was hugely popular in MWC 2015, is already to have received pre-order for 20 million units. Of these, approximately 50% is estimated to be for Galaxy S6 Edge. Compared to only several million units of previously released Galaxy Round and Note Edge, the 2015 shipment for Galaxy S6 Edge is anticipated to reach 20 – 30 million units. In order to prepare for Galaxy S6 Edge sales Samsung Display began A3 line operation. Existing A2 line’s Gen 5.5 15K supply and Gen 6’s 15K of flexible OLED panels are to be used. Using these shipment, Samsung Electronics is planning to sell 50% of flexible OLED equipped Edge. What began with Omnia, Samsung Elec.’s lead in rigid AMOLED market is being transferred to their ability to control the secondary flow of flexible OLED market. Smart phone market’s absolute leader Apple begins the sales of Apple Watch, equipped with LG Display’s plastic OLED, from April. Expected sales volume for this year is approximately 20 million units. Samsung Elec.’s Galaxy S6 Edge is estimated to cost approximately 1,000 USD, and Apple is releasing various products costing from hundreds USD to thousands USD. If each product from the 2 companies cost 1,000 USD, the total set market is expected to exceed 35 thousand million USD. The market that these 2 companies will create in this year’s smart device market is quite stunning. Accordingly, the flexible (plastic) OLED panel market is also expected to grow rapidly. Although neither company revealed the panel cost, considering the existing market is staying at 7 thousand million USD the 2015 AMOLED total market is forecast to reach 9 thousand million USD. It was revealed that public tendering began regarding BOE’s 5.5G AM-OLED project on ICB Operator, a Chinese international tendering network site. BOE possesses Gen 5.5 AMOLED line in Ordos, and is preparing mass production using SNU’s evaporator. It is analyzed that the additional investment regarding Gen 5.5 AMOLED project has been confirmed as SNU evaporator yield has mostly settled. It is estimated that BOE’s mass production of AMOLED panel for mobile will be able to begin earnestly in the second half of the year. Chinese panel companies aiming for mass production of AMOLED panel for mobile in 2015 are Visionox, Truly, Tianma, and EverDisplay as well as BOE. Of these, EverDisplay is known to be already supplying panel’s sample base. The focus is now on how the active mass production of Chinese OLED panel companies will affect the OLED industry which is currently being led by Korea’s Samsung Display and LG Display. The Chinese companies are estimated to begin active production of OLED panels, a market for which used to be dominated by Korean companies. Following this, the market for emitting materials for OLED panels also started shifting. “OLED Emitting Material Annual Report”, published by UBI Research in March 2015, forecast that Chinese companies will begin mass production of AMOLED panel for mobile in second half of 2015, and large area panel from 2017. Together with China’s mass production of panel, emitting material market is estimated to grow into US$ 560 million in 2015, a 16% increase from 2014, and approximately US$ 2,500 million in 2020. With the expansion of panel market, increased competitiveness by Korean emitting material companies is required to acquire supply chain. This is also when Korean panel production companies need to obtain technology in order to retain their market share against Chinese companies. 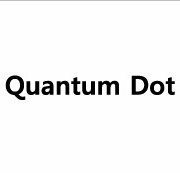 OLED TV, becomes the Quantum Dot TV just by placing a dot in the name? Though they are a part of sales gimmick, extremely deluding names are emerging. For OLED TV, the technology name “OLED” makes it easier for a consumer to recognize the differences of TVs precisely as it uses the OLED panel which is a spontaneous emission method employed to realize brightness and color. In the beginning of last year, LG Electronics and Samsung Electronics made it clear that it is not LCD TV by literally using the term ‘OLED TV’ for the TVs manufactured using OLED panel. But for LED TV, it should be named as LCD TV adopting LED BLU. The LED TV is the one that controls light only with LED. The name LED TV was a dangerous concept allowing for that it is safe to deceive general customers to sell products. This concern reoccurs for the LCD TV employing the quantum dot technology. As the LCD TV adopting the quantum dot technology emerges as a new rising star of the TV market, the TV set producers are planning to ship the products under the names of QD TV, QLED TV, or Q Dot TV. While they are naming the LCD product as if it is a new TV made only with the quantum dot while in reality, the quantum dot technology is added to the LED backlight to improve the color reproducibility and power consumption. The worst name is “QLED TV” which was created just by putting a dot in the OLED TV. It is assumed to be the combination of the terms LED TV and quantum dot. But it is very similar to the name ‘OLED TV’ that commonly recognized as the next generation TV to the extent of confusing as OLED TV. In the TV market that becomes more and more competitive as time passes, the differentiation strategy is crucial to make a distinction with other companies. However, this immoral and disgraceful trick of playing with consumers with naming must be stopped. Like an automobile company gets a considerable penalty for selling a car with false mileage, the strict sanctions must be imposed upon TV manufacturers using names to deceive customers. http://jpn.olednet.com/wp-content/uploads/2015/01/141216_OLED-TV-becomes-the-Quantum-Dot-TV-just-by-placing-a-dot-in-the-name.jpg 173 200 OLEDNET http://jpn.olednet.com/wp-content/uploads/2015/09/logo_oled.png OLEDNET2014-12-16 18:18:012015-01-19 14:12:19OLED TV, becomes the Quantum Dot TV just by placing a dot in the name? A solution-processable OLED technology is the one of its kinds that can RGB panels by using mother glasses for Gen 6 or later OLED panels. After some improvements are made to the properties of materials and definition, solution-processed OLED products will be manufactures in years to come. So far, the existing solution process technology with a resolution of 200ppi could not be applied to smartphones and tablet PCs requiring a higher definition. With the development of the new technology that can feature a resolution of up to 300ppi, however, the solution process can become applied to tablet PCs with the potential for rapid growth. In addition, it is possible that solution process technology is utilized to manufacture ultra HD 4K and even 8K (7680×4320) TV panels. The 65-inch 8K (7680×4320) panels are expected to feature a resolution of approximately 140 ppi. The manufacturing of panels that can produce an image of 200 ppi or higher will lead to the production of high-definition RGB LED TV panels. Given that the 10.5-inch panels using the recently released AMOLED panels have a resolution of 287 ppi and use a Pentile layout, tablet PC panels with a RGB layout will be manufactured by using the solution process technology. 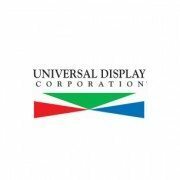 On the 6th, Universal Display Corporation (UDC), the U.S panel company, announced on their website that the 3Q/2014 Performance Summary was released on 30th October. The sales for the third quarter of 2014 is $32.9 million similar to $32.8 million which was the 3Q sales in the previous year. It is analyzed that the rise by a small margin is because the royalties and license fees were increased from $1.5 million in the third quarter of the last year to $5.4 million. In addition, another result includes the decrease of materials sales by 9% from $30.3 million to $27.5 million. It is considered that it fell due to the poor host materials sales. The business profit is $6.1 million, increased $1.9 million from the same period a year earlier. The sales by the third quarter of 2014 is $134.9 million, increased by 39% as compared to the corresponding period last year. Though there is little demand for materials as the OLED industry is still in the preliminary stage, the UDC indicated on the report that there are variables to come. For that reason, the sales for this year is expected to be between $183 million and $185 million.